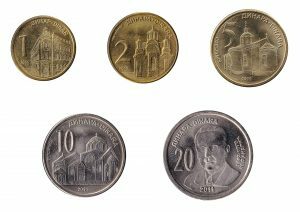 The Serbian Dinar is the national currency of the Republic of Serbia. 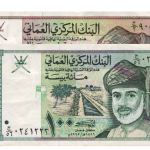 The history of the dinar goes back to 1241. In the 20th century the Dinar was the currency of German occupied Serbia. In more recent times the Serbian dinar replaced the Yugoslav dinar at par in 2003, following the breakup of Yugoslavia. At Leftover Currency we exchange all current Serbian dinara banknotes, as well as Serbian dinara coins and World War II era German occupation Serbian dinar banknotes.